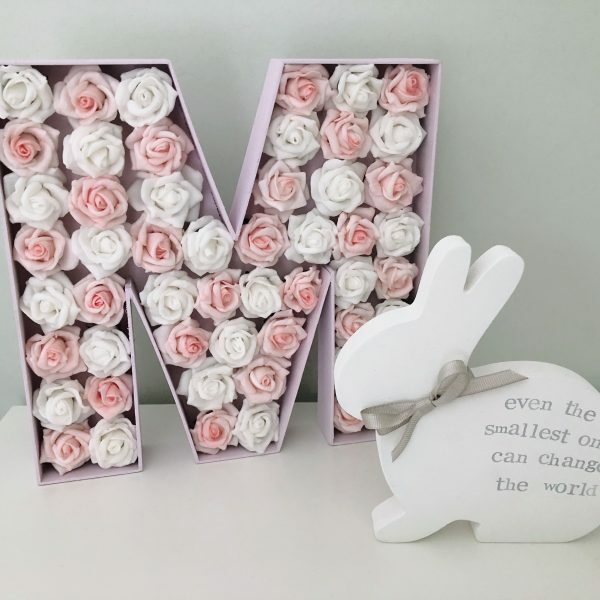 Hello, welcome to Pickleberry Baby the home of handmade baby accessories, gifts, keepsakes and decor items for nurseries and children’s rooms! 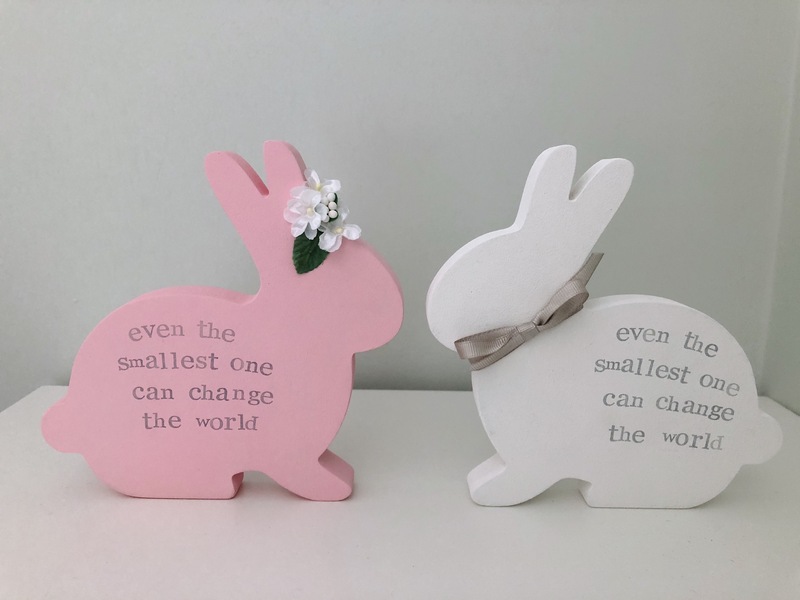 This listing is for our hand painted wooden Baby Bunny, hand stamped with a quote from Peter Rabbit – “Even the smallest one can change the world”. 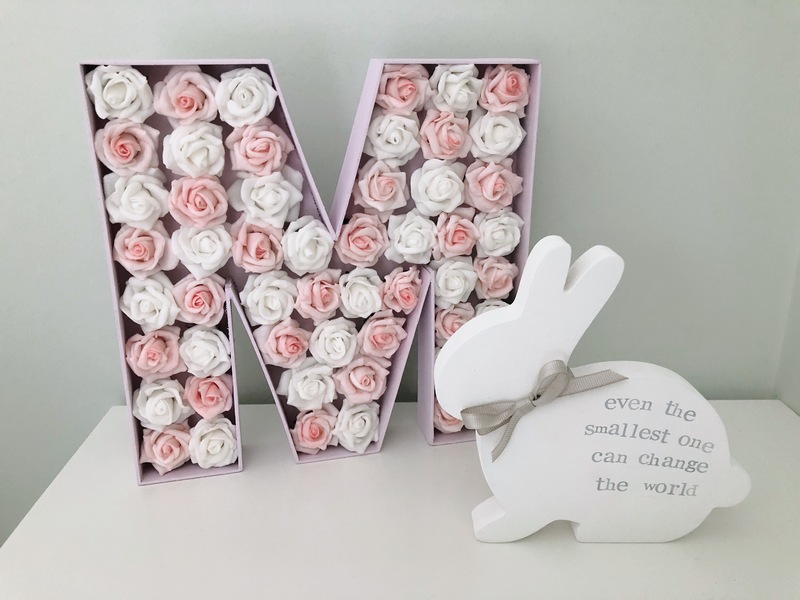 The recipient’s name can also be added to personalise the bunny and a date of birth can also be added if required to make it the perfect gift for a new baby. 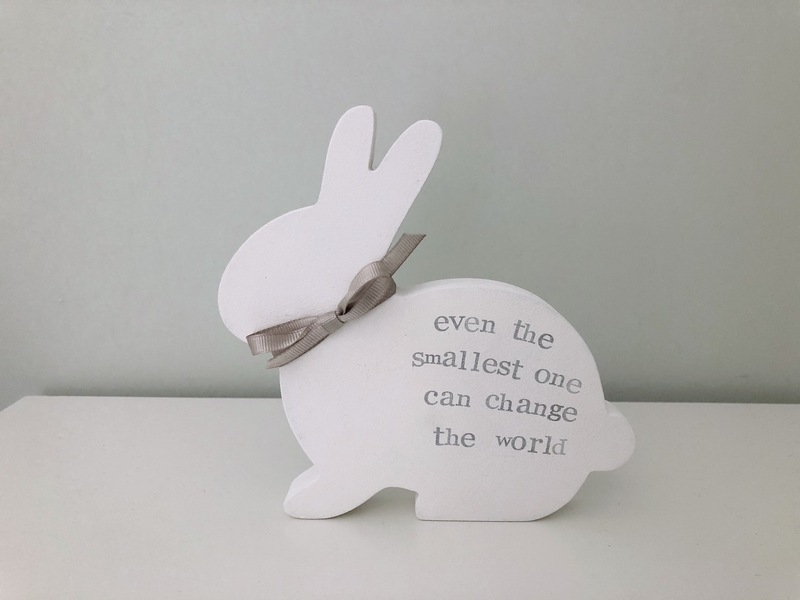 This baby bunny would make a lovely non-chocolate Easter gift and would look so cute on a nursery shelf either stand alone or as part of a bunny themed child’s room! 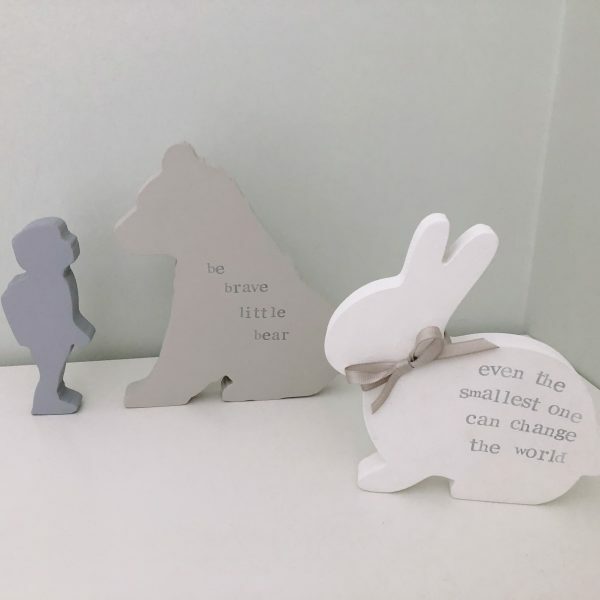 The white bunnies are stamped with grey ink and are finished with a grey neck tie. 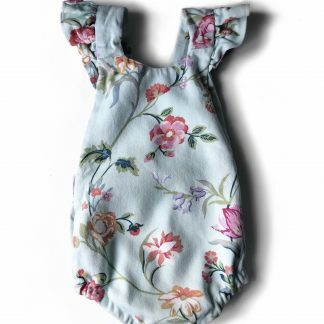 Other colour options are available, please see our other listings! 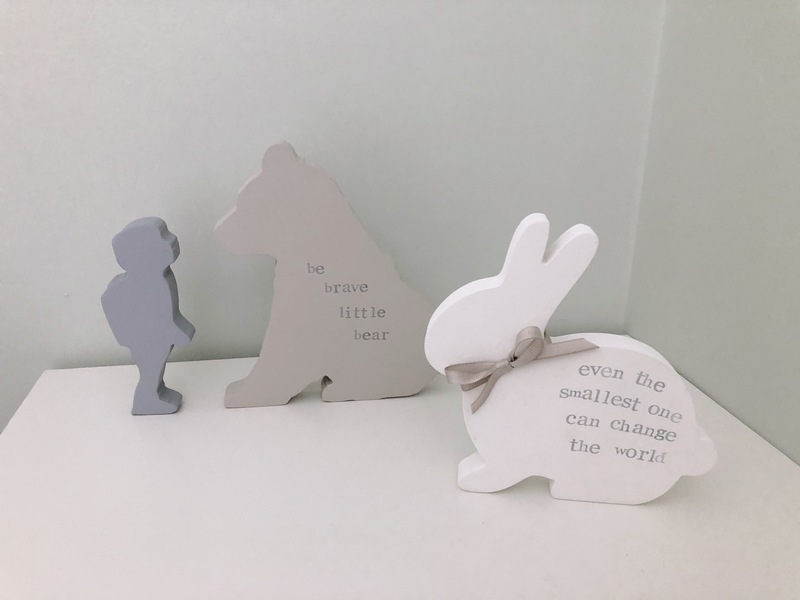 The pink bunnies are stamped with gold ink and have a flower crown, the blue bunnies are stamped with grey ink and finished with a fluffy tail. 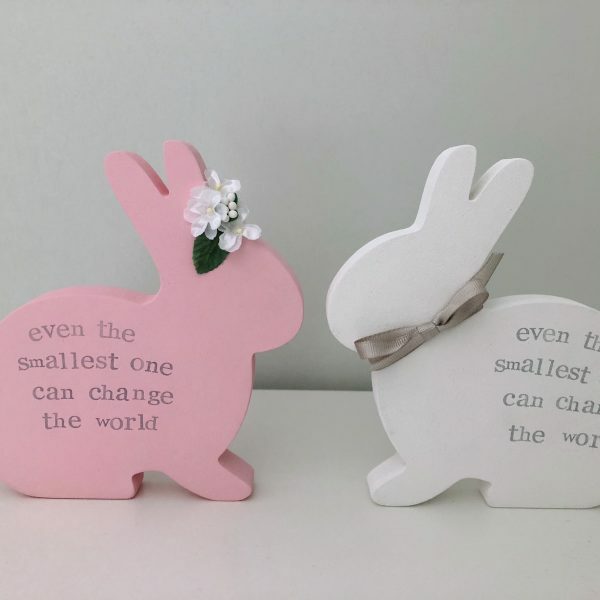 Bunnies can be painted in any colour on the Pickleberry paint palette, if you’d like a different colour just send me a message to confirm the paint and ink colour you would like. 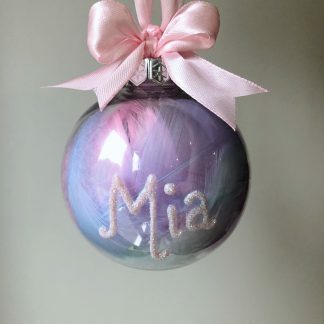 If personalisation is wanted please also confirm when ordering what additional lettering is required. 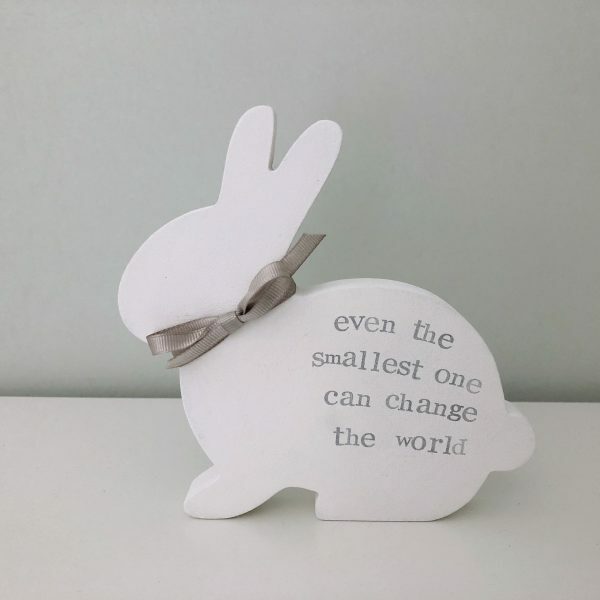 The bunny measures approximately 15cm tall and 15cm across from nose to tail! 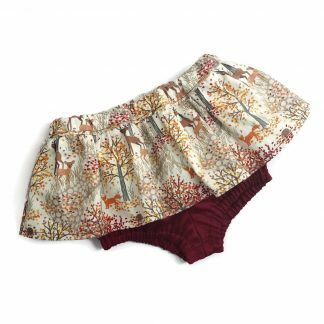 PLEASE NOTE all Pickleberry Baby items are decorative and are not toys. 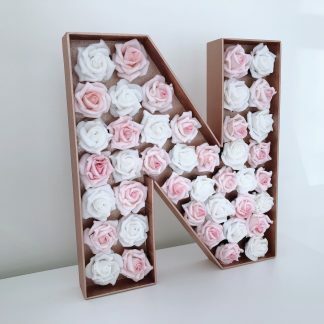 Unfortunately I am unable to accept returns of personalised/customised items.